The Mississippi Statehood stamp from the U.S. 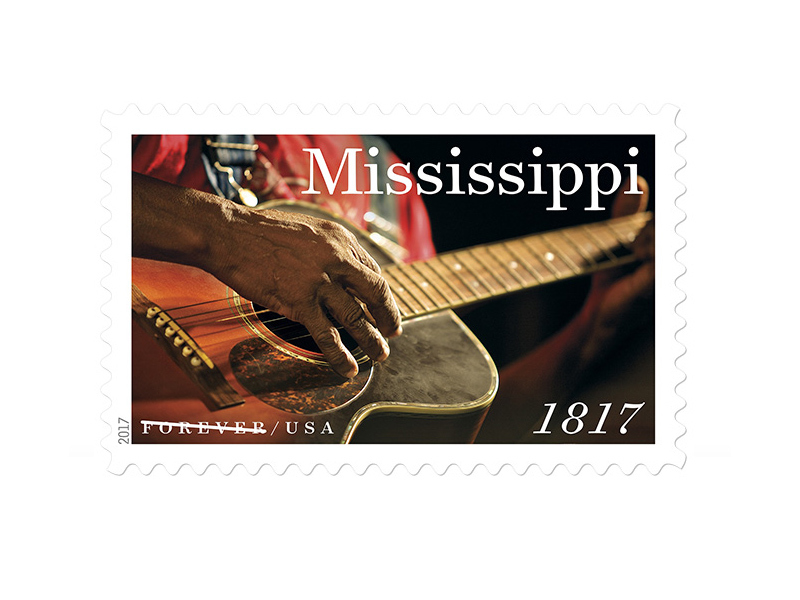 Postal Service celebrates the 200th anniversary of Mississippi statehood. Mississippi became the 20th state on December 10, 1817. The state is named for the Mississippi River, which runs along its western border. Among U.S. states, the Magnolia State is 32nd in size, and with approximately three million people, it ranks 31st in population. Mississippi is derived from a Native American word that means great water or father of waters. Among the native peoples were the Natchez, part of the Mound Builders culture. The Mound Builders constructed large earthen mounds used for burials or ceremonial purposes. Surviving mounds some National Historic Landmarks are found throughout the state. Mississippi's rich soil, abundant rivers, and expanses of forest made it attractive to settlers. Wealthy cotton planters thrived in some parts of the state, while smaller farmers dominated others. Enslaved people made the cotton economy possible. The Delta, the northwest section of the state that lies between the Mississippi and Yazoo Rivers, is famous as the birthplace of the Delta blues, a uniquely American musical genre that grew out of traditional African American work songs. Music lovers can follow the Mississippi Blues Trail to learn more about the roots of modern music and the men and women who gave birth to the blues. There are so many other events and attractions in Mississippi including museums, opera, ballet, parks, historic landmarks, and film, food, music, and book festivals that visitors can find an outing to suit any interest. 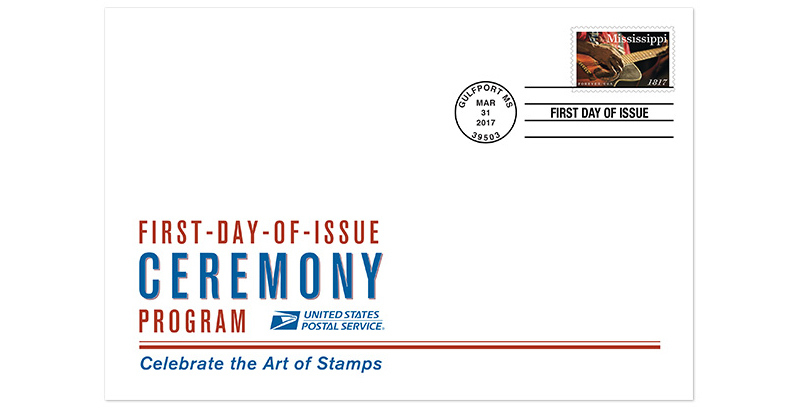 Art director Greg Breeding designed the stamp with an existing photo taken by Lou Bopp.